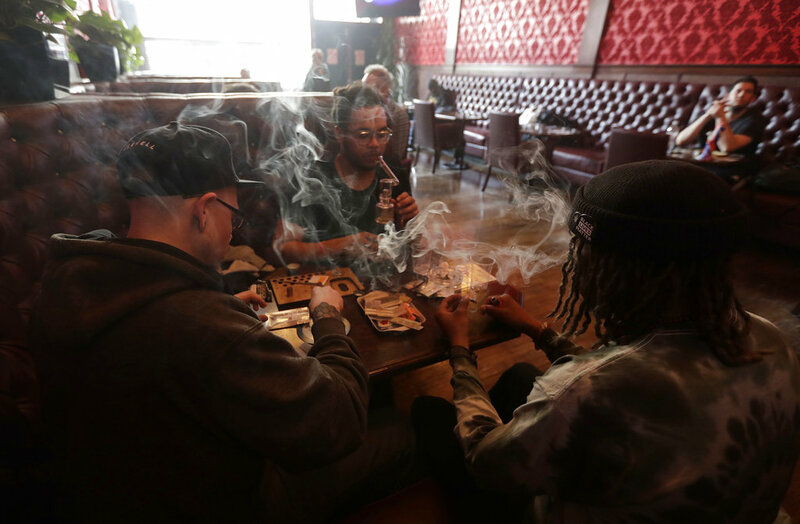 In this March 1 photo, Rick Thompson, clockwise from left, Keith Baskerville and Xavier Baskerville smoke marijuana while sitting in a booth in the smoking lounge at Barbary Coast Dispensary in San Francisco. 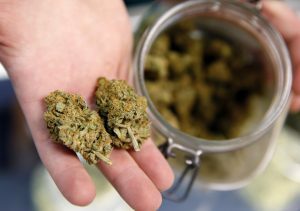 San Francisco plans to issue more permits for marijuana smoking lounges this year after health officials finalize updated regulations. Colorado legislators this week doused the latest attempt to establish licensed cannabis consumption clubs in the state, but another social-use bid remains alive. 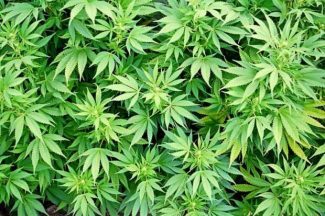 A bill to establish a marijuana consumption club license and accompanying regulations for adult-use cannabis spaces failed on a vote of 6-1 in the Senate Committee on Business, Labor & Technology on Monday. 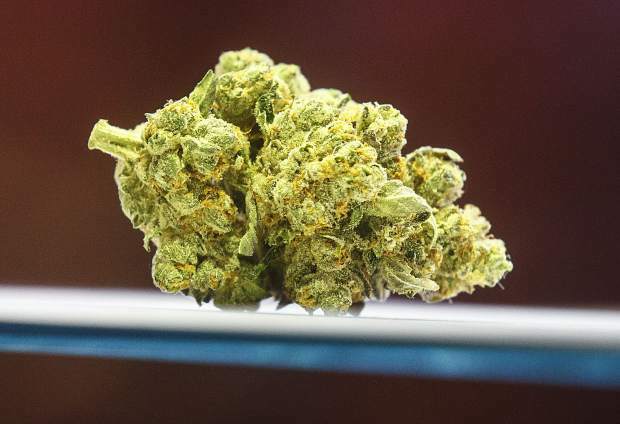 Separately, a bill to allow for marijuana “tasting rooms” on licensed establishments will head to the House Appropriations Committee on Friday after clearing its first committee hurdle in mid-March. The death of Senate Bill 211, “Marijuana Consumption Club License,” marks another failed legislative effort to develop a regulated regime for cannabis social use spaces in Colorado. Last year, at the behest of Gov. John Hickenlooper, a legislative bid for cannabis clubs was scrapped. 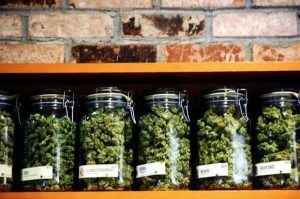 Backers of this latest effort say social use spaces will be an inevitable aspect of Colorado’s evolving legal marijuana regime and state law should adapt sooner rather than later.